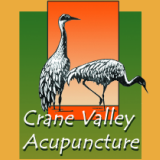 Veterans can access acupuncture services through the Veteran's Administration (VA) and TriWest at Crane Valley Acupuncture. ​Please call to schedule an appointment. Acupuncture and herbal medicine have vast application and are rapidly becoming the complimentary medicine of choice among many health care professionals.